Our Cuticle Salve is moisturizing and nourishing for your nail bed and cuticles.It is made with beeswax, coconut oil, avocado oil,olive oil, rice bran oil, and vitamin e oil. it will work wonders on those dry cracked cuticles. This come in a .35 ounce tub. 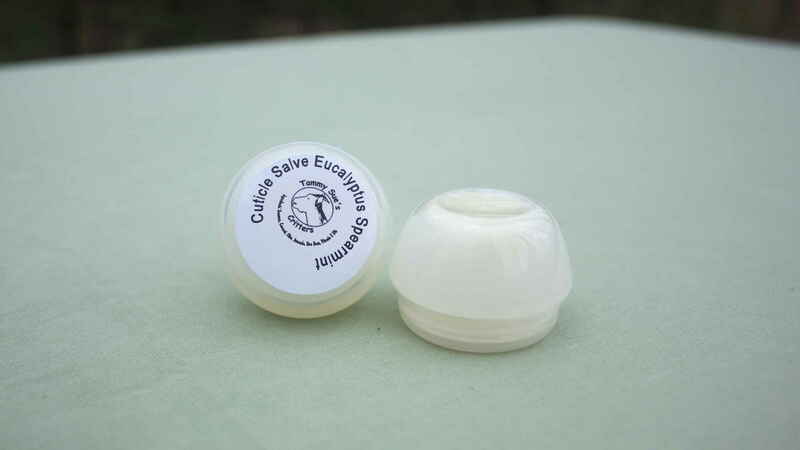 We have it available in Unscented and Spearmint Euclyptus.